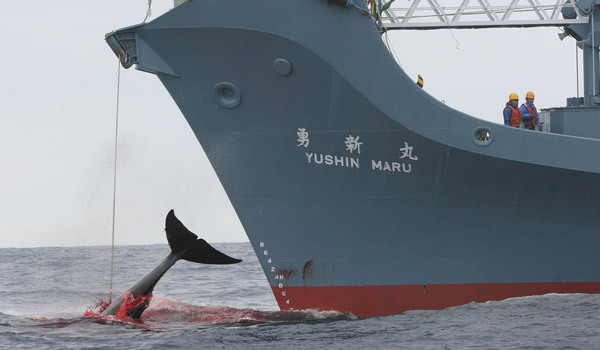 Does One Compromise Over Whale Slaughter? The hoo-ha is growing over the recent proposal by the International Whaling Commission (IWC) to lift the existing outright ban on whaling in exchange for the scofflaw nations (Japan, Norway & Iceland) ceasing “scientific whaling” (in the case of Japan) and getting to kill more of some different kinds of whales (in the case of Norway & Iceland). Scientific whaling is simply the slaughter of whales under the guise of research. It’s a loophole in the IWC ban that insults the intelligence of anyone who believes that words (like science) ought to have meaning. Last year, of the 1700 whales killed by the 3 whale-killing countries, roughly half were killed by Japan in the name of “science.” Even the Japanese recognize the silliness of this approach. I am all for creative attempts to limit whaling and to restore some of the authority of the IWC. However, no authority is restored by this measure. It would rather diminish whatever credibility the IWC retains, while allowing whale-killing nations to kill with an IWC imprimatur. Whale killing is one of the few acts of animal-killing that most people in most nations agree is brutal and senseless barbarism. The high ground is important here. One should only give up that ground — if ever — in exchange for something very meaningful. This “compromise” is not that. 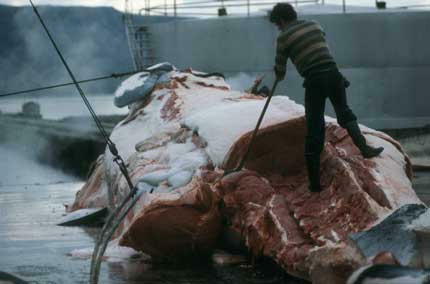 How is whale killing any different then cows on diary farms or pigs on meat farms ( I am not trying to be cynical)? It appears that whales are living the “free range” life that everyone gets sooo turned on by these days. Im vegan so I am anti-whale killing. It just appears whales are actually free range and chickens sold in whole foods just have bigger cages. I just want to be consistent in my conversations with others on this subject. Any advice? I think you are putting your finger on the “charismatic megafauna” issue — the idea that people tend to care more about big, cool-looking (in the case of whales), cuddly, or otherwise compelling animals more than those that tend to be less visually impressive. However, it is worth noting that whales are dwindling and in danger — when not actually endangered. That makes them different. And, as I mentioned in the post, whale slaughter is one of those acts of animal-killing that most people can agree is wrong. Rather than diminish that view by pointing out its inconsistency, I believe it far better to encourage the empathy that inheres in it and to look to expand it to other species.